...or maybe I should say "GRUMBLINGS." So I witnessed a Twitter "argument" between two writers. And it was nothing new, I'd seen similar ones played out before, lots of times. I call it: JK versus Stephanie. Or: Exult JK, bash Stephanie. And I'm sick of it. These two authors are pitted against one another because they're both mega best-sellers. And probably because their audience overlaps a bit. Here's what readers know(AKA the general public): Both authors are compelling story tellers who have built up a tremendous following. JK's world-building gets more brilliant with each book. Fans are captivated by the theme of good versus evil. Stephanie knows how to keep her readers in some major romantic suspense. Fans swoon over the concept of forbidden love. 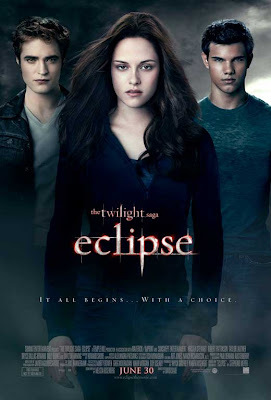 Here's what the writing community "knows" and grumbles about (because it's our craft and we pour over every word): Stephanie uses too many adjective and similar descriptive phrases throughout the TWILIGHT series. Some writers hate that Bella is *waiting on a boy* and can come off sounding whiny. JK's use of adverbs is astronomical in the HARRY POTTER series. 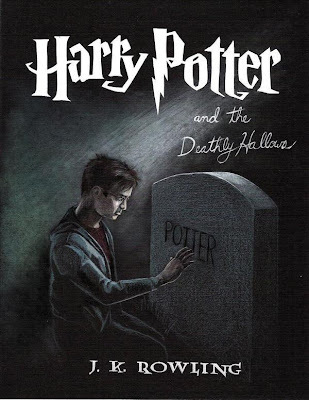 Harry is an ordinary wizard who comes through all of his adventures with Voldemort "unscathed" (and wouldn't last without help from Hermione and Ron). I say, big whoop di whoop, bullocks, get over it, enough already! Can't we all just get along? Here's what *I* know: They are both to be applauded. GOOD FOR THEM! They made loads of kids and adults READ! Period. End of Story. Isn't that what we want, as writers--for people to read our books, remember our names (or book titles or story-line) and come back for more? So please: let's make room for new stories and new authors and stop beating this dead horse already! Okay? Okay. There are always books you like and dislike, but personally, I'm not sure why it is more okay to bash an author because of their popularity. Critique the series, sure, but please -- leave the authors out of it. What is this ridiculous facet of human nature to build someone up then, as soon as we have, do our utmost to knock them down again? I try not to engage in too much debate. YaY for both getting to read and all that. But I have big problems with Twilight. Bella is an awful role model. Harry is a wonderful role model, and utilizing the strengths of his friends makes him even better in my eyes. If my daughter were going to look up to someone, it should be Hermione. And that animal love stuff in book 4 of Twilight is disturbing. So is the paternal relationship between Bella and the 100-year old guy. Oh no, I've engaged in debate. Sorry! Theresa, I *get* it, I do! BUT, why does it matter SO SO MUCH? There are hundreds of books to choose from, and they won't all appeal to everyone. So that's how Stephanie write Bella (and plenty of people would disagree with you)--but I don't think she should be bashed for it. I loved Twilight when I first read it. The storytelling had me so engrossed I didn't notice the bad craft. But I do get tired of writers slamming Stephanie and their "hate" for Twilight. Comparing JK and Stephanie is like comparing apples and oranges. I still think both authors did a wonderful job. I didn't have a problem with Bella. She was me as a teen (except for the divorced parents and vampire boyfriend part). I could relate to her. I also think people need to remember that neither world is REAL... and that in the end, BOTH authors should be applauded for the shear number of people they opened up to READING! I don't think about it much, but if it comes up, I can't help but say something. Good thing I'm not on Twitter! Peeps who don't have anything better to do than argue a moot point are wasting good writing time if you ask me. Amen. When I read a book, it is for the story. I don't notice things like adverbs and adjectives if I'm invested in the story, which I was for both of them. I agree with Sarah. I don't understand why we have to do this as humans, but it seems we do. I agree! Haven't read the Harry Potter series yet, but I will. They are both great story tellers and they have people - both young and old - interested in reading again! That something worth appluading! And I'm with others...I'm in it for the story and fantasy, not for the amount of adjectives or adverbs they use in any given chapter. Hear hear! They're too totally different stories and genres. There's no comparison! Except that both authors achieved phenomenal success. Other than that, no comparison and to argue about the two is really silly. This goes completely again my "my philosophy" posts (the dissing, not you posting about it). I don't have nearly enough energy to focus on negativity. I totally agree! They both got people young and old to the bookstore, and I don't think anything can be wrong with that! Well said- so ridiculous. We should be thrilled so many people and kids are reading. Period. Now lets' all go bash RL Stine again like the old days. The people who judge without reading bother me more. #1 "Big whoop di whoop" is my new favorite saying. #2 Those who bash successful people always reek of bitter to me. #3 I agree 100% with your "Here's what I know." Completely agree! Both writers did what we all want - to get kids and adults to read! Agreed. Both authors showed how wonderful and successful children's literature can be! I love both series, though one more than the other. Every writer knows how hard it is to get a book out there; they both should be celebrated! Yay! Thank you for posting! Haha I argue that everyone should just get along already. They are two different series for a reason! I think there's a lot to be learned from both these authors. In fact, I like to point out the rules J.K. breaks and say, Hey, break some rules if that's where your road leads you. Really? Sounds like junior high to me! And I totally agree with you. People are reading!